For over 28 years, Ferrigno Tax & Accounting Services has been providing quality, personalized financial guidance to local individuals and small business. Our expertise ranges from tax preparation services for individuals and businesses to estate, trust and gift tax preparation. We provide advice to our clients regarding the tax implications of their financial decisions. As one of the leading firms in and throughout the local area, we have a reputation of combining our expertise and experienced staff to assure that every client receives the close attention they deserve. Our professional dedication and work ethic is the reason our client base returns year after year. Our mission is to help clients maintain financial viability in the present, while taking a proactive approach to achieving future goals. This requires open communication to reach an understanding of our clients’ needs through research and sound analysis. Ferrigno Tax & Accounting is dedicated to meeting these goals with high standards of excellence and professionalism. We have been a staple of Washingtonville’s business community since 1990. Our dedication to hard work has earned the respect of the business and financial community in and around Washingtonville. We believe this to be a direct result of our talent and responsiveness to our client base. Whether you are a current or prospective client, rest assured that individuals and businesses who choose Ferrigno Tax & Accounting receive competent and timely advice. 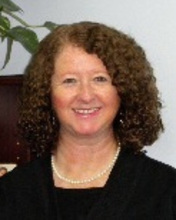 As an Enrolled Agent, Suzanne is licensed to represent clients before all branches of the IRS. Suzanne was originally a junior high school English teacher who left teaching to raise a family of seven children and then cared for her invalid mother until her death. Her husband Douglas was the founder of Ferrigno Financial so she became licensed as a registered representative and supervisor in the investment business. She also provided tax services primarily for investment clients. 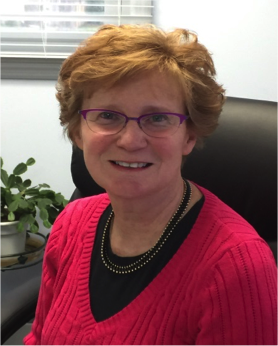 As the need for tax and accounting services grew, Suzanne went back to college for an accounting degree and graduated with honors from Mount Saint Mary College in Newburgh, New York. At this time she also took the grueling two day exam from the IRS to become enrolled to practice before the IRS. She is member of the following professional organizations: National Association of Enrolled Agents, National Association of Tax Professionals, National Society of Accountants. 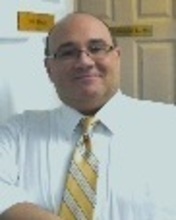 As an Enrolled Agent, Mr. Ferrigno is licensed to represent clients before all branches of the IRS. John, who is better known as J.D., is a graduate of The Julliard School and Northwestern University. During his tax career he has specialized in Personal Income Tax Preparation and holds Certificates in Accounting, Forensic Accounting and Fraud Examination. J.D. has been a full-time employee with Ferrigno Tax Accounting since 2010 and has worked seasonally since 1995. He became a Registered Tax Return Preparer (RTRP) in 2012 and in 2016 completed all exams for the U.S. Treasury Department’s Special Enrollment Examination (enrolled Agent exam). As an Enrolled Agent, J.D. has unlimited representation rights before the IRS. J.D. specializes in the individual tax returns, particularly the self-employed with small business and rentals and is Ferrigno Tax and Accounting’s payroll specialist for New York and New Jersey. Dale came to work for Ferrigno Financial in 1996. She is a graduate of the University of Vermont majoring in Business Administration. Her business experience includes 8 years with Toys R Us as a research sales analyst. Ferrigno Financial and Ferrigno Tax & Accounting shared employees for a number of years. As the business grew it became obvious that employees needed to work full time in each business and Dale whose first love is tax was happy to work solely for Ferrigno Tax & Accounting. Dale has been Tax Manager since 1998. She is a notary public and a member of the National Association of Tax Professionals. Tom has been with Ferrigno Tax and Accounting Services for 12 years. He has over 30 years of tax return preparation experience. His experience includes Individual, Partnership, Sole Proprietorship, “S” Corps, and “C Corps” tax returns. Tom also provides accounting, financial statement and payroll services for his business clients. Tom is a degreed accountant, having received his B.S. in Accounting from Fairleigh Dickinson University. Alvaro is a Rutgers University graduate majoring in Public Health and Social Work. He has been working for Ferrigno Tax & Accounting part time during tax season since 2011. He has participated in the Annual Filing Season Program since 2014 and has maintained his eligibility for representation of clients whose returns he has prepared since then. Alvaro is available during the year as needed by appointment. When Alvaro is not working at Ferrigno Tax and Accenting he embraces his Social Work degree working as a Case Manager for Cornerstone Family Healthcare. 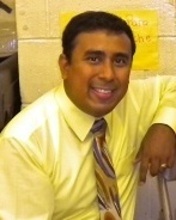 Alvaro was born and raised in Managua, Nicaragua and has been in the United States since he was seventeen years old. He is available for anyone who is more comfortable conducting business or tax preparation in Spanish. 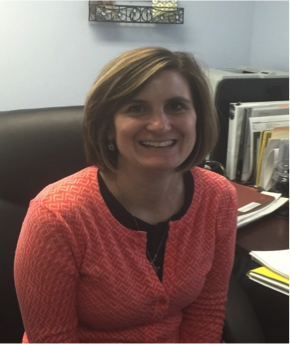 Tracy joined Ferrigno Tax and Accounting in 2016. Tracy is a lifelong resident of the area. She attended John S. Burke Catholic High School in Goshen and is a graduate of the University of Scranton with a B.S. in Accounting. She studied nights at Pace University to earn her MBA while she worked for Sony Electronics. She left the workforce in 2002 to raise her daughters. Tracy brings to Ferrigno 5 years of previous tax preparation experience gained from her re-entry to the workforce. She is designated by the IRS as a Registered Tax Return Preparer and specializes in individual returns, rentals and small business returns. Tracy also provides payroll services to small business clients. Nancy joined Ferrigno Tax and Accounting in 2017. 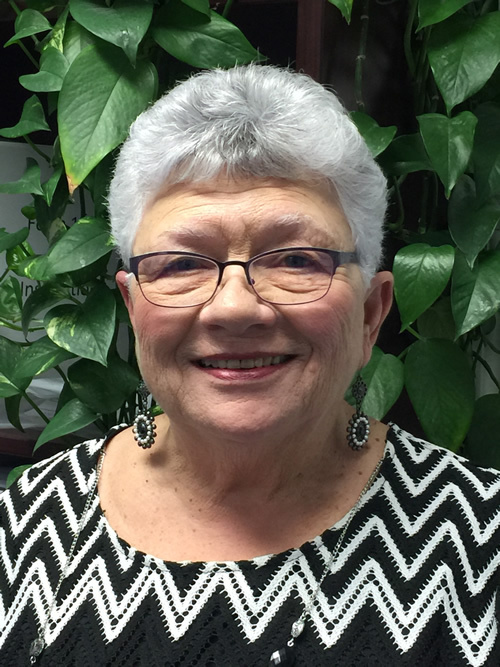 She brings a wealth of business experience with her as a recent retiree from IBM Corporation. In her 32 years with IBM, she has served as a business planning manager, a financial analyst, and an industrial engineer. Nancy holds an MBA from the State University of NY, University at Albany. She also has a Masters of Education from Mount Saint Mary College and a BA in English from the University at Albany. Nancy is a member of the National Association of Tax Professionals. 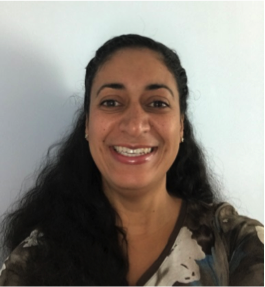 Arlene joined Ferrigno Tax and Accounting in 2017. She received her B.S in Business Management from New York University and has over 20 years of experience in the financial service industry. She worked for major corporations such as Citibank and American Express.